Questions of corruption continue to swirl from within the walls of the North Bergen Housing Authority as more subpoenas have been issued to multiple tri-state towns, including an additional one Thursday to the housing complex from federal prosecutors in New Jersey. As first reported by the I-Team, full time Security Director Geoffrey Santini was fired last month amid no-show job allegations, possibly stemming from Santini running his animal control business, which operates in six different New Jersey towns. Initial reports also questioned Santini’s use of the Chevrolet Tahoe issued to him by the NBHA. The Tahoe was often found double parked outside New Jersey Animal Control and Rescue in West New York. “It is a dual investigation, administrative and potentially criminal from the federal side,” said Gerald Sanzari, Executive Director at the North Bergen Housing Authority. Sanzari also hired independent counsel Mark Tabakin to investigate the concerns raised in the I-Team report. Santini also works as a part time constable in Hudson County and public records acquired by NBC 4 show he is a part time aide to Hudson County Freeholder Anthony Vanieri. Yet, according to multiple sources, Santini was also head of security at the Renaissance Building, which is next door to the housing authority and managed by the NBHA. Santini received additional pay to his $81,000 a year salary as security director for the housing authority. Additional records show Santini has another job. 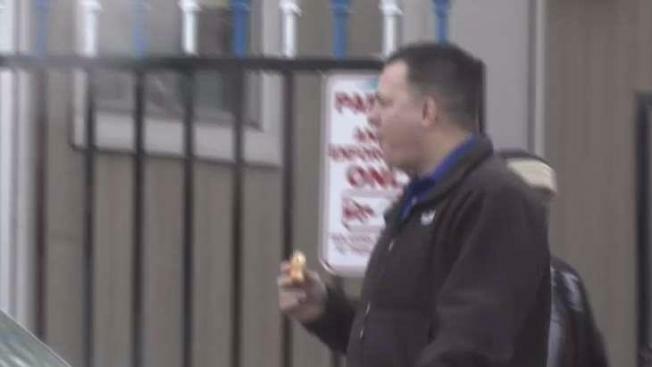 Records obtained the I-Team revealed Santini is also working as a part time health inspector in Weehawken. As for Santini’s animal control contracts with multiple towns, some are now finding ways of canceling their agreements with Santini and his animal control business. Just yesterday, the Bayonne City Council agreed to end its $87,000 annual deal with Santini. “His contract will be terminated as of May 14th, 2018,” said the Bayonne Corporation Counsel Jay Coffey to the Hudson County View. But the Township of North Bergen, where Santini has close ties to Mayor Nicholas Sacco, still maintains its animal control contract for $160,000.00 per year. In February, Mayor Sacco admitted to knowing Santini for years and told Jonathan Dienst that a little scrutiny never hurts. Louis Zayas, a lawyer for Santini has not returned our phone call. However, Zayas told the Hudson County View that Santini plans to sue the housing authority for wrongful termination. The U.S. attorney's spokesman for New Jersey is not commenting on the office's investigation. The internal report on the corruption allegations being complied by Tabakin could be released as early as next week. Editor's Note: A previous version of this story incorrectly stated that the subpoenas were issued by the U.S. Attorney's Office in the Southern District of New York. The subpoenas were issued by the District of New Jersey.